For the passionate numismatist, a selection of antique coins, banknotes and medals are offered for sale here by trusted dealers. 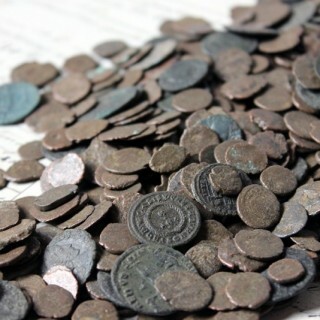 On this page, you will find rare coins to add to your collection. 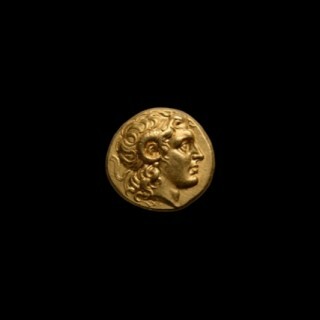 Some fine examples of Greek coins and Roman coins, in gold and silver, are for sale. The banknotes and old coins and medals that are listed here are from expert LAPADA members, so you do not need to worry about authenticity. 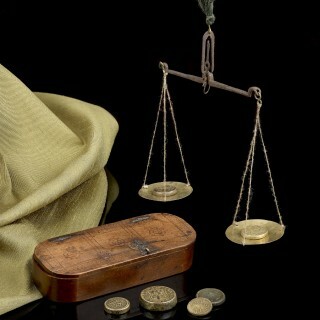 If you are not a collector of ancient coins, you can still browse rare British coins on our website. With over 500 members, LAPADA is the largest association of professional art and antique dealers. Our members are active in the UK and worldwide – from Japan to Australia, from Europe to the USA. All must abide by the Association’s Code of Practice. Every year, over 100 dealers exhibit at the LAPADA Fair, offering a choice of antiques and collectables, jewellery and art from the 15th century to the 20th century. Discover LAPADA members on the website or at the art and antiques fair and do not hesitate to make enquiries – our members are always happy to advise you so that you can learn to buy art and antiques. 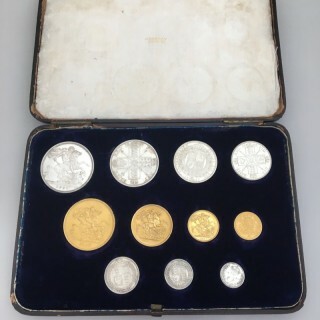 a cased set of 11 mint condition jubilee coins, 1887.